This isn’t one of those horrid click bait articles I swear. 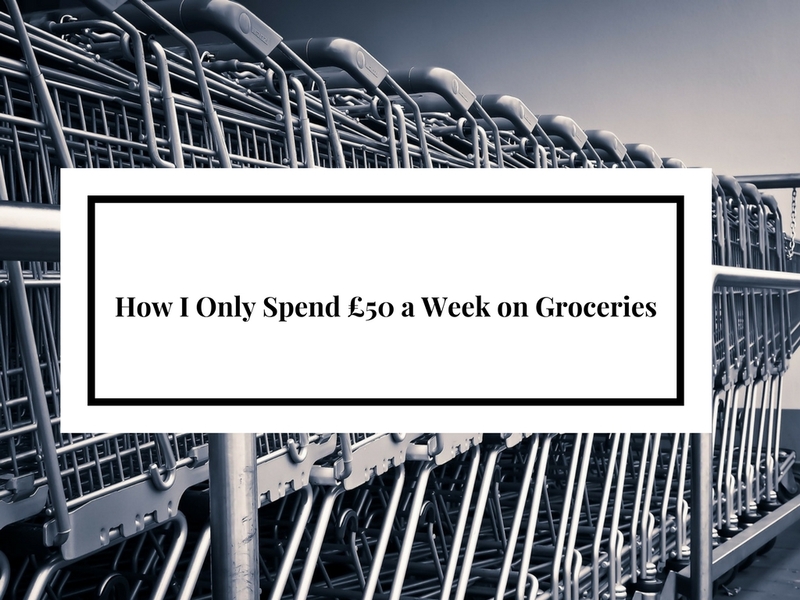 I really do only spend £50 a week on the food shop. Now, don’t get me wrong, there are some weeks we do overspend by a fiver or so. Special occasions, a treat here or there, but mainly, if we are having one of our “normal” weeks (whatever one of them looks like) we know exactly how much the bill will be.If you follow my blog, you’ll know that I detail my family’s weekly meal plan and bill. Last week was another week of being under £50. How? Well, I stick to a few staple rules that help us eat healthily and cheaply as a family.Feeding your family really needn’t cost the Earth. I truly believe that by making a few easy changes when it comes to the weekly shop can make all the difference in your pocket. 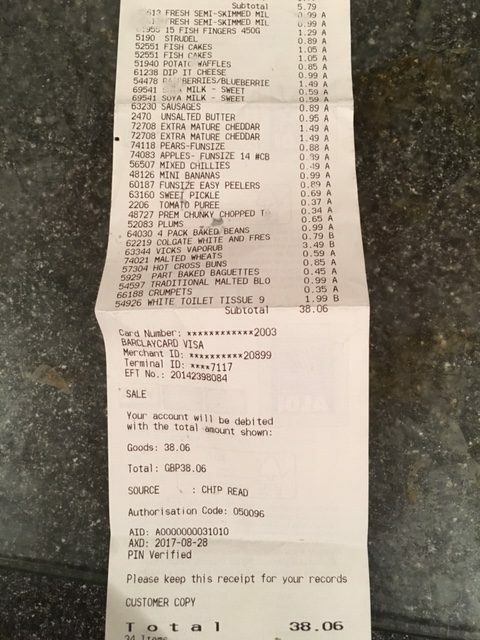 Before I started this quest, our family grocery bill was almost £500 a month, and we threw away a lot of that. I kept imagining what I could do with all that money I was throwing away.So, if like me, you’re getting sick of throwing money away, then here’s my top tips to help you get that shopping bill down to £50. Before I hit the shops…. Have a think about what you buy. Could you get the majority of it at a discount store like Aldi or Lidl? Most of us are proud brand snobs, but if we were blindfolded, wouldn’t be able to taste the difference between a Waitrose banana and an Aldi one, but I can tell you know, your pocket does! I spend less than half of what I used to thanks to switching to Aldi. I’m not saying you can get everything, we do do a bi-monthly spin round Asda for bits we can’t get, like greaseproof paper for example. Meal plan. I can’t tell you how important this is. Since I started planning our meals, our waste and shopping bill has plummeted. It’s not easy. My husband works shifts, so at times, cooking for myself and two tiny meals feels like a chore, so I’d go to the freezer and get out some leftovers I’ve made from the week before, then move the plan around, making sure I’m still using all my fresh ingredients and freezing the items that I now know longer plan to use. Incorporating them into the following week will also save you a bit, as will making sure you use all your kitchen cupboard staples. I draw out the £50 each week so I have it in cash. This way, if I do go over, I have to get the dreaded debit card out and pay the rest. If by the end of the shop, I have some left over, I then keep it for the following week. It may only be a pound or two, but that’s a pound I can spend on treats for the kids. It’s really satisfying seeing their little faces light up, and I know I didn’t have to go over my budget to give it to them. Living frugally doesn’t mean eating rabbit food all week. Trust me, there are hundreds of cheap, healthy family meals out there for you to try. The dreaded shopping list may make you feel like your Mum, but it will keep you on track and stop you getting distracted. Try not to be seduced by any ‘Buy one get free’ offers. If you plan on eating it then great, it’s a deal, if it’s not on the list and you never planned on using it, then it’s just waste. Try and control portion sizes. I do this by purposely cooking too much, so I can freeze it. Spaghetti Bolognese, Chicken curry, lasagne; anything. If the kids then want more, (unlikely in my house) then I’ve got it. Pasta and rice wine can be a pain. I now weigh my pasta and rice. I normally weigh out 75g each for me and my husband, then 20g each for the kids. It doesn’t sound a lot, but by dinner time, they aren’t normally in much of a mood to eat anyway. Fruit and vegetables get turned into soups or smoothies when they look over ripe.I “try” and home make everything, especially the weeks my husband is at home and then use in the weeks he isn’t. It’s cheaper to make a pasta sauce or a cottage pie than to buy one premade.Of course, there’s always times we fancy a treat. Pizza? Why not try making your own base and letting the kids decorate it. Wine? Choose the one that’s on offer or dropped in price. Aldi themselves do a reasonable bottle of white or red for £2.99.Hopefully, I’ve shown you how easy it is to spend just £50 a week on food. Don’t believe me? Here’s last weeks’ receipt for proof! Happy saving! Savings 4 Savvy Mums is written by two sleep deprived mums who love saving money and having a laugh. The blog is packed full of parenting giggles, penny-pinching advice and money-making ideas. If you like bargains, then check out their community over on Facebook. They can also be found over on Twitter, Instagram and Pinterest. I hope you have enjoyed today’s guest post. How do you save money while shopping? Comment below.